On my 50th birthday I decided I would like to complete a full Ironman and at the age of 52 and 10 months I achieved this. I had taken part in several cycling endurance events for charity and the Alpe d’Huez short triathlon, however, this was another level and my biggest concern was the 3.9km swim. A chance meeting at Shepperton Lakes gave me a recommendation to attend Fiona Ford’s Swim Smooth squad whereby over the course of a few weeks and months Fiona transformed my swim stroke with a combination of triathlon group swim sessions (geared towards open water swimming) and a 1:1 video analysis. I was so impressed by Fiona that I asked if she would coach me over the three triathlon disciplines over a two year period with a view to competing in a full ironman. 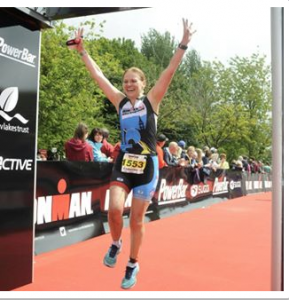 Fiona assessed my capabilities in swim, bike and run and then prepared a weekly training programme to fit in with the time I had available whilst also having a full time job and a challenging lifestyle as I was a keen sailor. I would never have imagined that I would have enjoyed the training so much as I was very much a competitor and loved doing events. During the two years, Fiona built several other events into my programme allowing for the taper and recovery. Fiona’s programmes were always very interesting and challenging and she seemed to know exactly how to pitch them for me. The four weekly catch ups enabled me to discuss any issues or concerns I had; I found Fiona to be a very motivational coach and having competed at the highest level, very inspirational too. In July of this year I finally achieved my dream and completed the Bolton UK Ironman in just under 15 hours, I would never have imagined completing, it let alone with two hours to spare. I cannot thank Fiona or praise her highly enough for her imaginative programmes, her advanced technical knowledge of the disciplines and events and her supportive and patient coaching style. I wouldn’t hesitate to recommend Fiona as a performance coach. 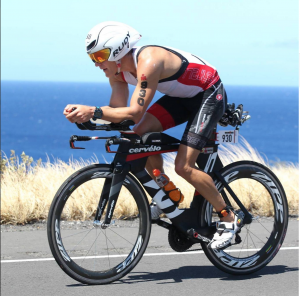 It is actually possible to transform a ramshackle, pseudo athlete, mother-of-two-year-old twins into an Ironman Age Group top ten finisher in 12 weeks. I know this because it’s what Fiona Ford managed to do when I confronted her with something that really should not have been achievable with three months to go. What you get from her coaching is laser-sharp focus, belief in her athletes and a training plan that really doesn’t come from the “one size fits all” school of thinking. My training plan fit brilliantly with the needs of my family, my demanding full-time job and, crucially, my abilities. 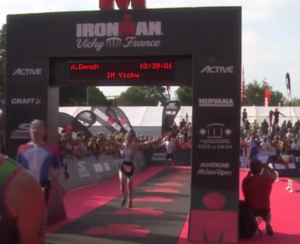 She put me on the startline of Ironman Copenhagen in great, well-rested shape to achieve a time I never dreamed of getting close to first time out of the box.